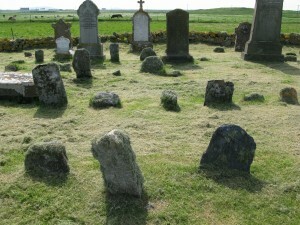 At An Iodhlann we are regularly asked by visitors if there is an easy way of finding their ancestors’ graves. The majority of these visitors have travelled thousands of miles from Canada, the USA, Australia and New Zealand to visit the homes of their Tiree ancestors. 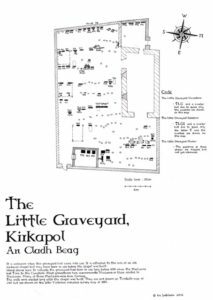 With no detailed record of the older graves at Tiree’s two cemeteries, Kirkapol and Soroby, we were unable to help most of these people. Many of the gravestones have become difficult to read, while older graves are marked by only a small rock bearing no inscription. 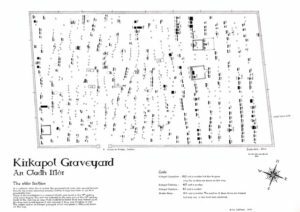 In 2012, we set up a project to photograph and map every headstone in the two cemeteries, create a searchable online database of all the graves, and prepare short biographies of the people who are buried there. To find out whether your ancestor’s grave is marked by an inscribed headstone, and to obtain a headstone reference number, you will need to perform an Advanced Search. Once you have the headstone reference number, click on the appropriate graveyard map in the right-hand column of the page under the heading ‘MAPS IN PDF FORM’, and use the zoom button to look for your ancestor’s headstone reference number. 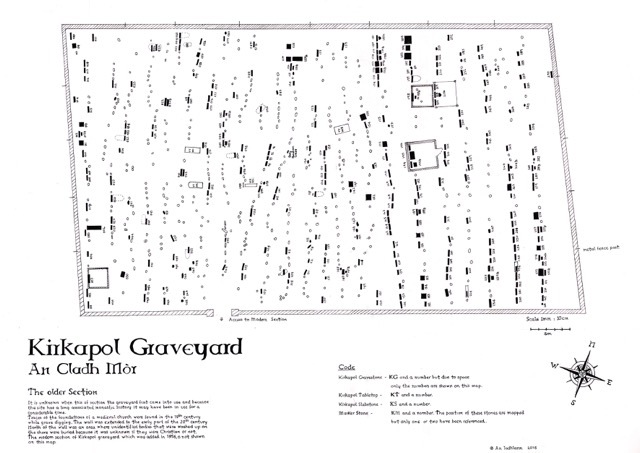 The area covered by this project is the Older Section of the graveyard. It is unknown when this of section of the graveyard first came into use, but it was extended between 1882 and 1895 which doubled its size to the present day walled area. 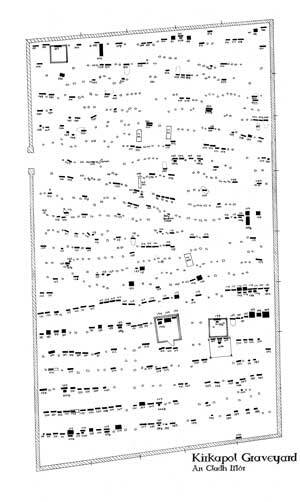 The modern section of Soroby graveyard, which was added in 1956, has not been transcribed. Sometimes known as Cladh Òdhrain. It is unknown when this graveyard first came into use. 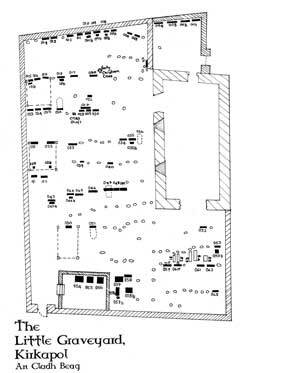 Foundations of a medieval church were discovered in the mid 19th century but all traces of them have disappeared. The wall was most probably built around the time the crofts were laid out and was well established by 1851 when Reeves visited the site. The wall was extended in the early part of the 20th century. The modern section of Kirkapol graveyard has not been transcribed. It is unknown when this graveyard first came into use. 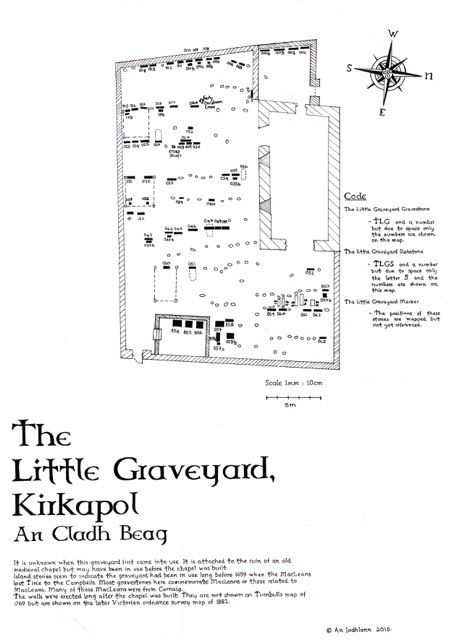 Given the early Christian church links with the chapels associated with this graveyard it could have been used for burials since very early times. It has long been associated with MacLean burials and stories are told of people claiming MacLean kinship to allow them to being laid to rest in this graveyard. It was said that so many MacLeans were buried here that it would never be anything other than MacLean land. These stories suggest the yard had been in use long before 1674 when the MacLeans sold Tiree to the Campbells. A wall is not shown on Turnbulls Map of 1768 but a wall is shown on the ordnance survey map of 1882 so the wall is thought to have been built sometime in these intervening years.